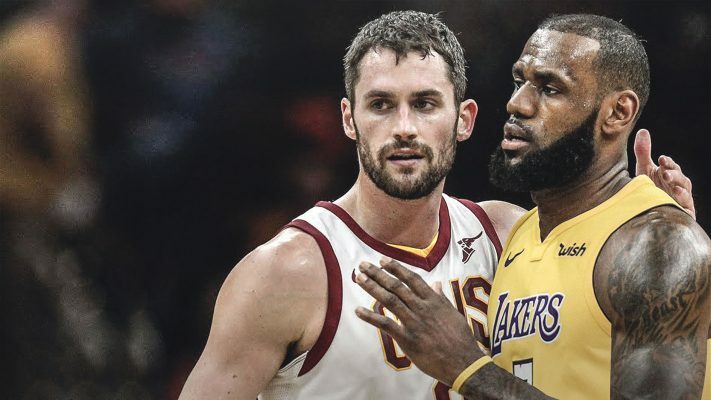 Though LeBron James and Kevin Love are no longer teammates on the Cleveland Cavaliers, it’s clear that the bond of friendship remains strong between the duo. In recognizing World Mental Health Day earlier this week, James took time to acknowledge Love’s efforts on behalf of this particular issue. Last season Kevin Love opened up about living with anxiety, depression and panic attacks. His former Cleveland Cavaliers teammate, LeBron James, has this to say about Kevin and others both in the NBA and out of the NBA who are opening up as part of their coping process. One of the panic attacks that James references came last November during a Cavaliers home game, though Love’s struggles didn’t become public until he penned a March article in The Players’ Tribune. Love indicated during an August interview with NBC’s Carson Daly that James offered an inspiring comment after the article came out. That item received universal praise for bringing the often-ignored issue to light. Love has taken further steps since then, including the establishment of a fund to promote both mental and physical health. Despite the fact that James now plays for the Los Angeles Lakers and Love has a new contract with the Cavaliers that’s expected to keep him with the team through the 2022-23 season, their friendship remains as tight as ever. “We won and we bonded and we’re going to continue this brotherhood,” Love said in an interview with ESPN’s Brian Windhorst. The two will face each other on the court twice this season, with James returning to Quicken Loans Arena on Nov. 21. That will be followed by a January rematch at the Staples Center in Los Angeles.